This kit is a charming, soft collection that’s also trendy and bold! FREE SHIPPING! Check out the live unboxing video we did of this kit by clicking here. Inside you will find a beautiful patterned and designed 12" x 12" Teresa Collins, Life Emporium collection, along with custom inspiration on the other side. This collection is perfect for capturing any life event or milestone. The papers in this collection are soft pinks, creams, and teals yet also include bold navy, wood grain, and cork elements. 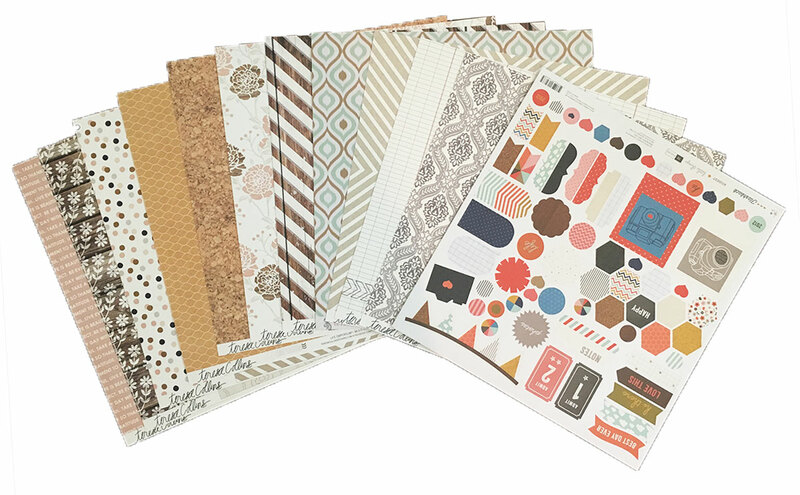 These beautiful papers are designed and patterned with trendy stripes, floral, polka dots, and more. It’s absolutely beautiful!